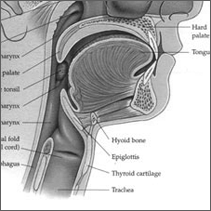 Otolaryngologists are physicians trained in the medical and surgical management and treatment of patients with disorders of ear, nose, throat (ENT) , and related structures of the head and neck. At Dagan MD, we provide comprehensive diagnosis and treatment of a wide variety of ear, nose, throat and sleep disorders in both adult and pediatric patients. Our specialists can diagnose and manage diseases of the sinuses, larynx (voice box), oral cavity, and upper pharynx (mouth and throat), as well as structures of the neck and face. Otolaryngologists also diagnose, treat, and manage specialty-specific disorders and many advanced primary care problems in both children and adults. You are sure to find the right physician here to help diagnose and treat your condition. Hearing loss affects one in ten North Americans. Our unique domain as otolaryngologists is the treatment of ear disorders. At Dagan MD, we are trained in both the medical and surgical treatment of hearing, ear infections, earwax, balance disorders, ear noise (tinnitus), nerve pain, earaches, and facial and cranial nerve disorders. 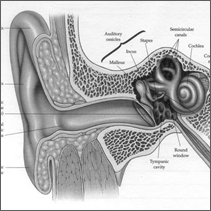 We treat balance disorders and vertigo that are commonly related to the inner ear. 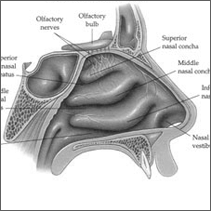 Chronic sinusitis and rhinosinusitis are some of the most common health complaints in America. At Dagan MD, we manage the nose and sinuses with the latest technological breakthroughs including Ballon Sinuplasty, the latest technique in long lasting relief from sinusitis. At Dagan MD, the inside of the nose is as important as the outside cosmetic appearance, when you get your rhinoplasty with us, we ensure your appearance doesn’t compromise function. Communicating (speech and singing) and eating a meal all involve this vital area. At Dagan MD, we offer expertise in managing diseases of the larynx (voice box) and the upper aero-digestive tract or esophagus, including voice and swallowing disorders. For more general information on sore throats, please click here. 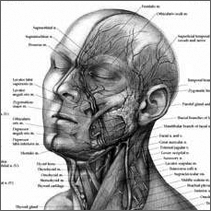 The head includes important nerves that control sight, smell, hearing, and the face. At Dagan MD, we are trained to treat infectious diseases, both benign and malignant (cancerous) tumors, facial trauma, thyroids/parathyroids, and deformities of the face. We perform both cosmetic plastic as well as reconstructive surgery to restore facial harmony and function. All information on the website is actively updated and changes with ongoing medical research. The content is intended for informational purposes alone and is not meant for treatment, self treatment or diagnosis. Please make an appointment for any symptoms you may find similar to the content on the website to better evaluate and treat. Copyright © Tal Dagan, M.D. All Rights Reserved.